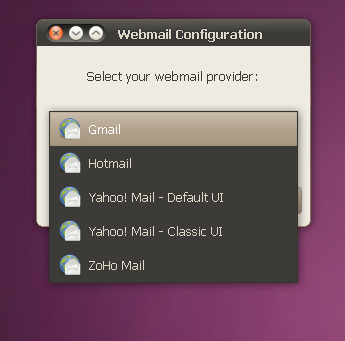 While I prefer Gnome Gmail which comes with some more options (but it's only for Gmail), you can now use Desktop Webmail application in Ubuntu 10.04 Lucid to set your email client as Gmail, Yahoo, Hotmail or Zoho instead of regular email clients such as Evolution or Thunderbird. 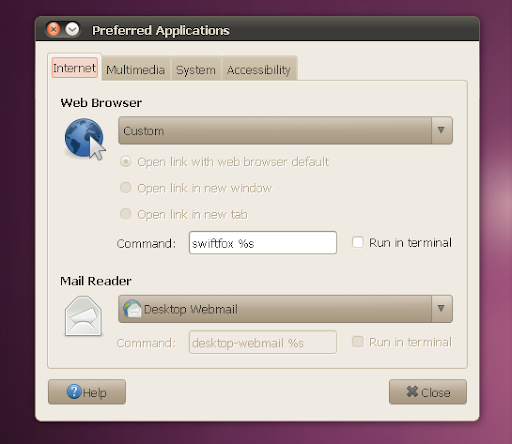 Once you set all this up, when you'll click an email link in any browser or other applications, the preferred webmail will open in your default browser (instead of opening Evolution, etc. ).